Well, it turns out that was Joss Whedon’s response, too. 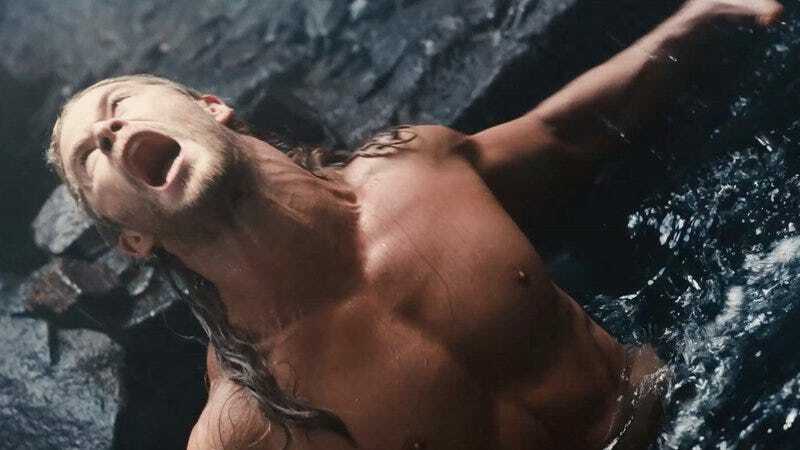 According to The Hollywood Reporter, a new interview with the writer-director of Marvel’s two biggest films suggests that Avengers: Age Of Ultron was the studio-meddling straw that broke the superhero-rejuvenating artist’s back. Which simply means that neither Whedon nor audiences are as smart as studio executives, clearly. The cave sequence, it turns out, was demanded by the studio brass, who bravely kept it in long after most of the footage was cut by dint of test audiences wondering what the hell it was doing in the movie. Whedon had the same impulses, but was forced to keep it after the executives threatened to axe two of his key story beats: a stopover at a “safe house” that involves Jeremy Renner’s Hawkeye, and dream sequences for each of the Avengers. The final film is a result of contentious negotiations between the person who wrote, directed, and was the primary creative force behind the film, and a bunch of tangentially associated dudes who definitely know better. Whedon had also hoped to include Spider-Man and Captain Marvel in the film, but was prevented from doing so by Marvel and Sony not agreeing on character-sharing terms until February (for Spidey), and by not casting anyone yet (for Captain Marvel). If you’d like to hear more stories from the man who almost ruined Marvel’s brave attempt at excising any artistic impulses from their 20-year marketing plan, the entire interview is up at Empire Film Podcast.